2 x decals are included, 1 for each side. 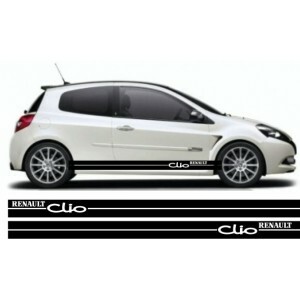 This will fit all models and versions of the Clio. 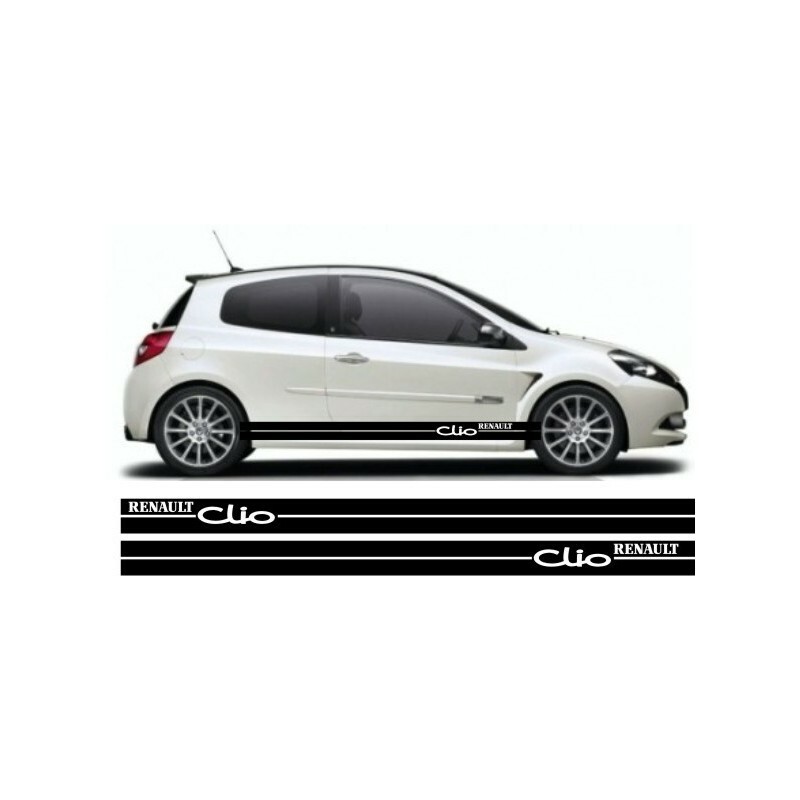 The lettering / design is cut through the graphics so the colour of your vehicle will show through as the white is in the picture.